Good battery maintenance is unquestionably important, but why? Why is it that a battery left in an unused car becomes dead in a few months time? 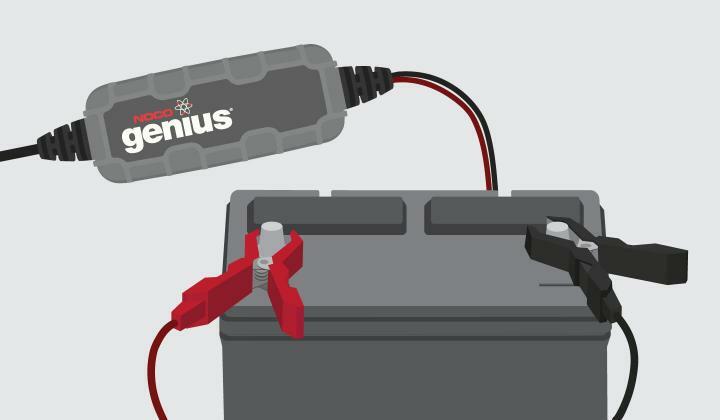 In order to understand why battery maintenance is important to the longevity of your battery, it is important to understand the basics of discharging and charging a battery. 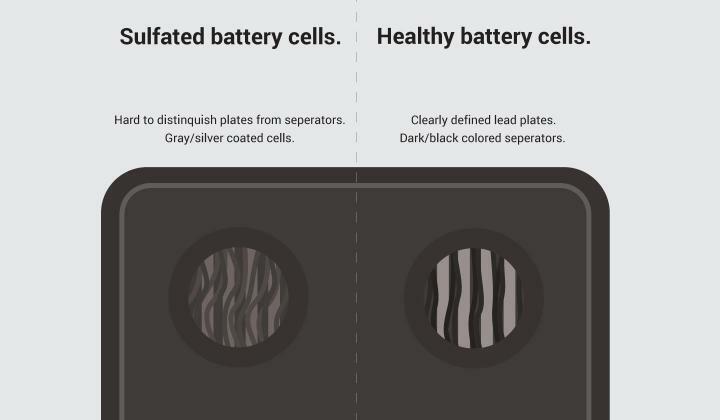 In short, when a battery is discharging, the chemical reaction between the sulfuric acid and the lead plates produce electricity which gives the energy to the application. Frequently test your battery to make sure it is correctly charged. It’s important to check your battery and electrical system regularly, and not when it’s starting to show signs of a bad battery. Getting it tested twice a year helps to keep it at its peak performance level, in addition, allows you to recharge your battery, if needed, to maintain its peak performance. A fully charged battery should measure at 12.6 volts or above. 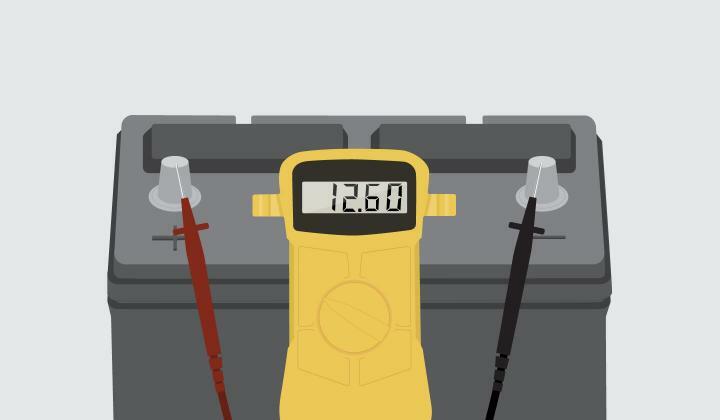 If your battery happens to be below 12.6 volts, then you should check the battery terminals, cables, and acid levels. If you are victim of a sulfated battery, you will begin to notice the signs decreasing efficiency. The most common sign of a sulfated battery is one that will not charge very well, or simply refuses to charge at all. If you suspect your electronic accessories are not receiving enough amperage (weak a/c, dim headlights) it is a strong sign that your battery is sulfated. If your battery goes dead long before you expect it to, then there’s a good chance it is a result of sulfation. It is also a possibility to conduct a visual sulfation diagnostic test on your battery’s cells. This will require opening your battery, so it is advised to do this on a covered surface, in a well ventilated area. 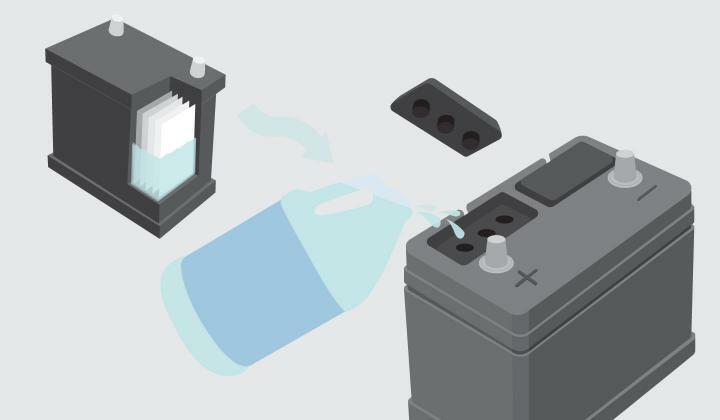 If your battery has removable vent caps then they can be pried off with a flat-head screwdriver, then look down into each individual cell to make sure that the water is covering the lead plates at the proper level. If the cell is left for some time with the plates exposed, it can be damaged. That in turn will ruin the battery, which needs all its cells functioning to retain its full electrical charge to deliver power. Generally, the higher the temperature the more frequently a battery may need topping up. In most cases, the monthly check is enough - but check more often in hot weather, or if the level is well down at the monthly check. Providing the correct charge after the battery is discharged is key to keeping your battery healthy and in great working condition. With that said, charging your battery properly can easily become more involved than discharging it. Battery chargers with fixed outputs are incapable of providing the correct charge cycle simply because your battery requires changes in amperage and voltage to reach a complete full charge. Proper charging and maintenance requires an intelligent charging system that has the capability to adjust the charging voltage and amperage based on the needs of your lead-acid battery. Selecting the correct smart charger and using the proper charging mode will provide an optimal charge for your battery and thus increase the lifespan of your battery.